Rhino Aluminium Ltd are manufacturers of Aluminium Bi-folding Doors and Aluminium Windows. We have been in the trade for 20 years and are proud of what we do. We are a 3 generation family business based in the South East of the United Kingdom with our focus firmly fixed on quality, professionalism and value for money. Established in 2012 the directors of Rhino Aluminium identified the lack of Aluminium fabricators in the industry that were able to deliver a great product coupled with a good level of customer service. The directors of Rhino Aluminium – Andrew & Paul – both come from completely separate business backgrounds and bring a mixture of skills and expertise to the business from their involvement and experience within these professional sectors of industry. 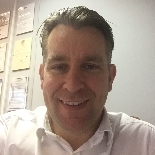 With over 10yrs experience in the I.T industry for a large Japanese corporation, Andrew carries a strong understanding of customer service and business professionalism. He also brings a strong level of organisation and problem solving solutions to the running of Rhino Aluminium. Many of the marketing strategies and social media techniques have been introduced and maintained by this ‘hands on’ company director. 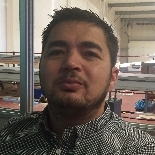 Paul brings over 20yrs experience in the window and doors industry to the company, and is the main drive in the R&D and technical side of Rhino Aluminium. His level of accuracy both professionally and technically is second to none and insists on the highest level of workmanship from the manufacturing side of the business. He is unable to stop in his pursuit towards perfection for Rhino Aluminium. All deliveries are made using are own transport and driver direct to your door!